There’s a reason the American South holds such a romantic sway over the hearts of many of its residents and natives, and why it’s cast with an air of mystery and folklore to those who view it from afar. There are much older parts of the world, at least when it comes to prevalence of humans—places where epic military battles were waged, major civilizations reigned and warred, ancient relics hide beneath the fields, and history lurks in the caves and forest thickets. But many of these locales still can’t match the mystery and allure the Southern regions hold for many, from North America and around the world. Intrigue is the South’s greatest export. It’s the thin line between sin and redemption that runs taught through the region like the ridge of the Appalachians. It’s how untold riches and wealth have been won and extracted upon the soil, though sometimes through the sins of its caretakers, while in the shadows persists a poverty of both wealth and hope only paralleled by a third world experience. Ghosts hide behind the Spanish moss and linger in the deep hollers of the South. Intellectual observations celebrated the world over have sprang from inside its borders, but a culture of ignorance still pervades in large swaths of the region. 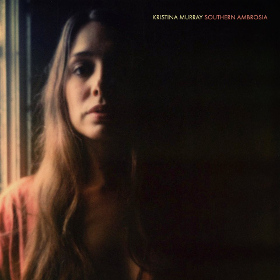 It’s these subjects and the hidden mysteries of the South that become the wellspring of expressions contained in Kristina Murray’s new record Southern Ambrosia. From behind sad eyes that seem to be fighting back the enduring and persistent pain of the slave mother relinquishing her offspring, the Confederate mother burying her dead son, and the homesteader trying to provide food for a starving family, Kristina Murray doesn’t just articulate the sorrows of her own experience, but all the accumulative sorrows of the Southern region as she sings. Whether it’s crying over bills at the kitchen table, pondering the impact of an absent father, or fearing that life itself is nothing more than a slow process of death, Murray at times is merciless in her effort to make you feel the pain of personal and fictional stories that feel all too patently real to yourself as they hit the ear. But within these tales is also the little everyday riches life in the South affords, from the supple goodness of a cling peach, to the strong persistence of self-identity. The Georgia native sings to the full-bodied Southern experience. Contrast is the ultimate marker of life in the South. “Pray for rain and get a flood,” Murray sings, while God seems both ever present, and easy to blame, speaking to the often conflicted nature of the Southern identity, and the mood swings the higher power plays. Since fear is employed just as much as positive reinforcement in the Southern flavor of formal religion, this love/hate relationship is often reciprocated by the population in their riches and struggles. Produced by well-respected bass player Michael Rinne, Southern Ambrosia is hard country when it chooses to be, but finds a folk rock edge for certain songs, and enough attenuated moments to keep the well-written tunes of Murray engaging beyond the stories themselves. A well-respected singer and songwriter in her community of independent Nashville, the pain in her voice has made her a favored singing partner and collaborator of many, including JP Harris and Zephaniah OHora recently. Delving deep into the rich mythology of the American South through the stories of its people, while keeping the mystery and allure of the region in tact is what results in the best of Southern music, acting like manna for mortals, in a region where God feels close. The South is real as dirt under fingernails, and yet as intoxicating and fantasy-like as a fairy tale. Southern Ambrosia is a compilation of the stories of Kristina Murray imbued with this Southern magic, and like so many of the stories and lessons and hidden mysteries of the region, it is worthy of deep study, and filled with opportunities for engaging discovery and personal enrichment. Another terrific and insightful review Trigger ….nice job . I recall reading and listening to Kristina’s stuff a while back . And I really like it . Very enjoyable more than capable yet mercifully unaffected vocals …..Echoes of Suzy Bogus , Kim Richey , Irene Kelly with an edge , although Irene leans more ‘grass … THAT is the kind of company I’d be happy and proud to be compared to as a singer/writer . I don’t hear any overt attempt to write a a radio -friendly chorus in any of the songs included here . I hope that’s a choice rather than an oversight on her part . However I’d suggest that in these times in particular , any and all tried and true elements of crafting songs that more easily find a listener’s ear would be all but indispensable . That aside , I ‘m loving the organic ( mostly REAL ) approach to the sound while keeping it CLEAN and arranged to support her voice , not compete with it . This is good,honest stuff and in a just world would be representative of mainstream contemporary COUNTRY music. Interesting that Suzy Bogus also came to my mind as I was listening to Southern Ambrosia the other day. I think Kristina’a music honors the tradition of American roots and country music while dealing with contemporary life issues. Kristina is definitely an artist to listen to. I’ve caught her live in Nashville a couple of times and let me tell you , this gal has it! I don’t see her as an Americana artist, she’s a country artist all the way. She loves singing those classic country duets with folks like Logan Ledger and others. These new songs though, really show her abilities as a first class songwriter. Shes been woodshedding in the Nashville underground country scene for a while, building her confidence. Hopefully she gets some recognition. Excellent review of an excellent album. I hope this is included among the 2018 album of the year candidates. This album is pure gold. My favorite album of the year. This is pure authentic country music at it’s best. The review & the 8/10 are spot on. Can hear the echoes of Suzy Bogguss too. “Only” nine tracks…but no fillers. My highlights: “Slow Kill” & “Joke’s On Me”. 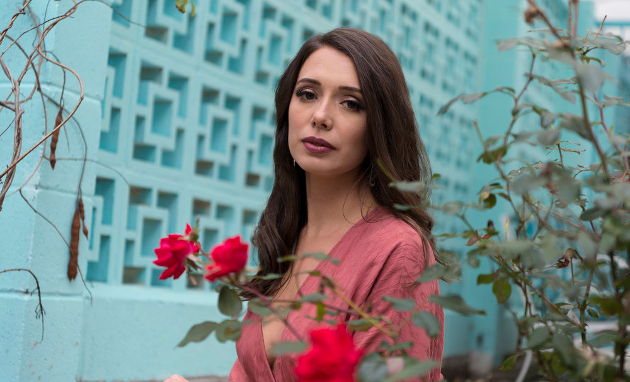 Stephanie Urbina Jones released a new album too: Tularosa (09/28 – 14 tracks). Saw her name on the Texas Top 100 Charts last (?) year. Her new album contains only cover-versions. Oh come on…just another singer releasing “Walking After Midnight” & “Jolene”? Again? For the 1001 time? Not so fast….all songs have a “tex-mex-mariachi” arrangement + spanish sung versions of “Jolene” & “Ring Of Fire”. The album might not be AOTY-material but it’s a nice change of pace. I quite like it. Reminds me of the Caitlin Canty album in its mood and vibe. An early effort is also very good: https://www.youtube.com/watch?v=fZ4PyYKN4eA&list=PLYYSer6aamIJav6b9Ch_b-sqo-o4oOpJ1 from 2010! Yeah, this is good stuff. I wish the vocal was a little more “over” the instruments, though. Maybe it’s my computer. I’ve listened to the whole album now, and it’s fantastic! Great find. I need to spend more time with it, but it might become one of my favorite albums of the year. The new album is great. I think if she is overlooked it is due to a lack of touring outside Nashville very often on her own or as an opener and the gap of time between her albums. The same is true for Tommy Ash.